David Bradley Online - London Trolleybus Route 542 !! The concept for this picture comes from your Webmaster, David Bradley, and has been created by Dave Wilsher, using various software packages from photographs supplied by Palle Nilsson and S.J.Parascandolo. Various ideas and thoughts have come from Ashley Bruce, Irvin Bell, Peter Golds and Dave Wilsher to make this image, and story, more interesting. 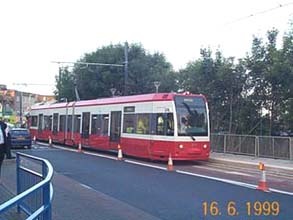 The picture represents a scene in 1999 and assumes that Croydon tram route 42 was converted to trolleybus operation in 1944 as scheduled by LPTB in the 10 stage South London Proposals. 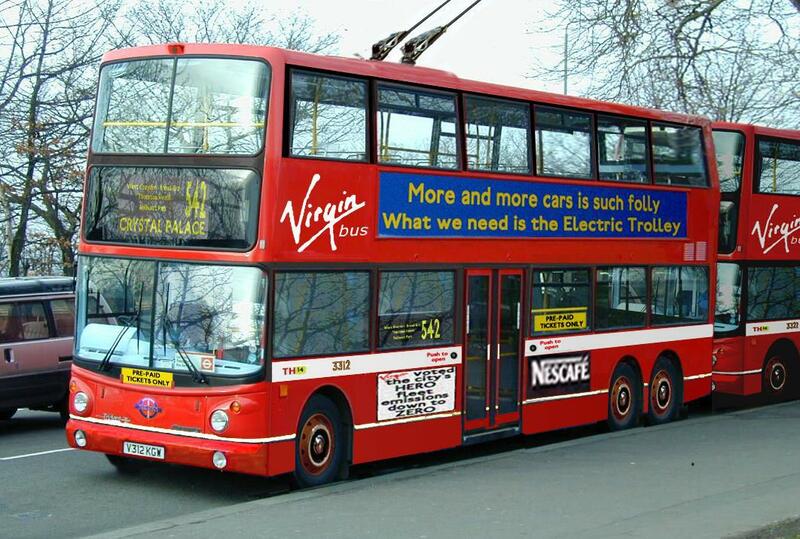 De-regulation in the 1990's means that Virgin is now the franchise operator of this route. 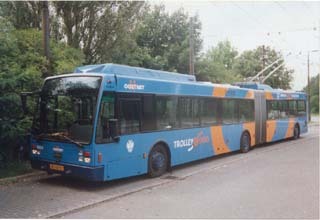 Virgin's TT Class trolleybus introduced in November 1999 to cater for the heavy passenger loading on this route. It is photographed before the pavement was raised to the floor level of the trolleybus. Passengers on this route are required to have pre-purchased tickets or a subscriber to the Multos Mass Transit Ticketless System. from other sources. The pictures below formed the basis of picture DW1.